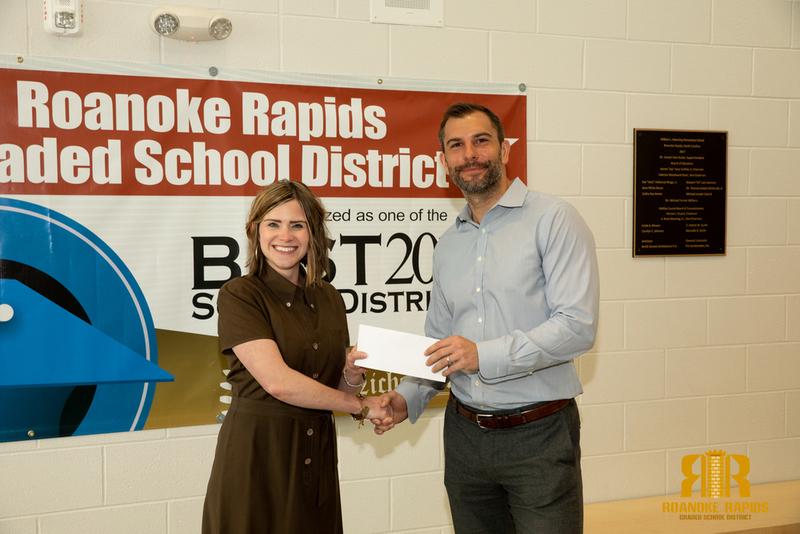 Roanoke Rapids State Farm Agent, John Grimes has donated more than $2500 to Manning Elementary to combat hunger and help purchase additional reading materials for classrooms. "We want to invest in our community and I can think of no better way than encouraging children to read," Grimes said. State Farm has awarded millions of dollars to communities across the country supporting a wide variety of causes, including: fighting childhood hunger, helping homeless veterans revitalizing parks, improving literacy, and offering athletic programs for children with disabilities. "We're so appreciative of this gift," said Principal Lauren Hinnant. "Giving our students access to more books only enhances their learning."